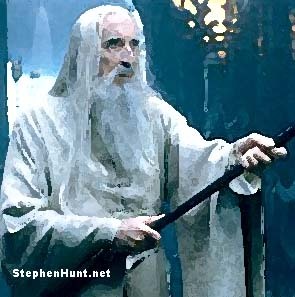 Noted actor and institution unto himself – Sir Christopher Lee – gives his end of year state of the union speech in which he discusses The Hobbit movie and reprising his role as Saruman. More watched than the Queen’s message to the nation? Well, in my geeky household, perhaps.